Andrew is referred to eight times in the New Testament. His first meeting with our Lord is recorded in the first chapter of the Gospel of John. In Mark 1:16, we have the account of his call from his fishing nets, which occurred at least a year later than his first meeting with Jesus. "Passing along by the Sea of Galilee, He saw Simon and Andrew the brother of Simon casting a net into the sea, for they were fishers." The record of the third occasion is found in Mark 3:13, when it is said that our Lord went up: "Into the mountain, and calleth unto Him whom He Himself would," and He appointed them to be with Him, and to send them forth as apostles. Andrew was one of the number. In John 6, we have the account of the feeding of the five thousand, and in it the next account of Andrew, who it was that told the Lord about the boy who was present, having the loaves and fishes. In John 12:22, we meet with Andrew again, when at the end of the public ministry of Jesus the Greeks came and said to Philip, "Sir, we would see Jesus." Philip then consulted with Andrew, and they both came to the Lord. In Mark 13:3, we meet him again, when after the Olivet prophecy, when Jesus sat upon the Mount of Olives over against the Temple, he came with Peter, James and John to ask the Master privately to explain what He had been saying. His name is found next in the book of the Acts in the first chapter and the thirteenth verse: "When they were come in, they went up into the inner chamber, where they were abiding; both Peter and John and James and Andrew, Philip and Thomas, Bartholomew and Matthew, James the son of Alphaeus, and Simon the Zealot, and Judas the son of James." Thus he is found in the apostolic company, and undoubtedly went with that company into the Temple. We find him, however, once more in the book of Revelation 21:14, where describing the city of God it is said: "And the wall of the city had twelve foundations, and on them the twelve names of the twelve apostles of the Lamb." Necessarily Andrew's name was one. That covers the ground of our information concerning this man. With these incidents in mind we will attempt to see the man himself. We know his father's name. We are not told this, however, in connection with himself, but in connection with his brother. When Andrew brought Simon to Jesus, our Lord said, "Thou art Simon, the son of John." It is quite evident that he was not a conspicuous man in the opinion of those who came into contact with him. Even John, when writing the account of his first meeting with Jesus, before he had named Simon at all, in order that we may know who Andrew was, calls him "the brother of Simon"; and we find he is constantly referred to in that way. Men who are known thus by their relationship to other men are almost always unobtrusive men, not strikingly impressive to others. Then we turn to the more definite facts concerning him, and the first is that he was a disciple of John the Baptist, and was most evidently within the inner circle of those disciples. When we recognize that, we are face to face with some things concerning him. He was evidently a man who had become conscious of the act of sin, and of the fact of its abounding nature in the time in which he lived, and far more, of the fact of sin in himself. He had evidently become conscious of the need for repentance, and had submitted himself to the ritual baptism that indicated the confession of sin, and the desire for remission and renewal. Moreover, as a disciple of John he was one seeking for the Kingdom of Heaven, or the Kingdom of God; or John had struck the key-note of his ministry with the great announcement, "Repent, for the Kingdom of Heaven is at hand." Andrew had heard that message, and had been obedient to it. Moreover, John's whole ministry had been that of telling of the coming of One Who would bring deliverance with fan and fire, gathering out the wheat, and destroying chaff in all human affairs; lowering mountains and lifting valleys, thus ending all inequalities. Andrew therefore as a disciple of John was living in expectation of the coming of the One Who should set up that Kingdom. We may often know much about a man if we know his friends. We look at the friends of Andrew. John the Baptist was one, and John the apostle was another. We say this, of course, taking for granted there can be little doubt that John was the one with him when they saw and followed Jesus. Thus among his closest friends he numbered the man of stern, ascetic outlook upon life, and the man who was a poet and a seer. Moreover, Philip is found in that group, a man more unimpressive than even Andrew, quiet and retiring. Then necessarily there was his own brother, Simon. In view of these few facts before us, we ask what sort of a man was Andrew? After pondering this narrative it seems to me that he was a singularly strong man. His name Andrew, Andreas, means manly. Necessarily nothing very much can be based upon that fact, but in all probability at his birth it might have been said of him as it was of Moses, that he was a proper child, and the name have been given in expectation of what he would become, and then the boy trained to manhood in keeping with the suggestion. I have a picture that I love of Simon and John hurrying to the tomb on the resurrection morning. In it Simon is represented as a strong, rough, almost ruffled looking man. I always feel that it might pass for a picture of Andrew also. Moreover, he was a man marked by moral courage and insight as is evidenced by the immediateness of the way in which at a critical moment, he left John, the herald, and followed Jesus. As we watch him in his first meeting with Jesus, we see Andrew following quietly and reverently. He did not speak to the Lord until he was addressed. When the question was asked by Jesus, "What seek ye?" we notice Andrew's immediate reply, as he addressed Him as "Rabbi," and in the use of the title revealed the fact that he was putting himself under the instruction of our Lord. Jesus was no Rabbi according to the order of the times. He was a Galilean peasant. Nevertheless under the impulse of the conviction that filled him, as the result of John's words, he called Him "Rabbi." Furthermore, his cautiousness is certainly manifest to the careful reader. Jesus said, "What seek ye?" and he replied, "Rabbi. where abidest Thou?" Thus he answered a question with another question and with one that at first does not seem to be at all relevant. Pondering the account, it is impossible to escape from the conviction that what he meant was simply this: he realized at once the utmost importance of the question, and declared in effect that it could not be answered easily and so he, wanted time; that if he could only come to the place where Jesus abode, it would be possible to have such time. Now we ask how our Lord dealt with such a man. It is worthy to emphasize the fact that in Andrew we have no libertine, no man who had abused and debased himself by evil courses in life; or even if there had been such courses, there had also been definite confession and repentance; he had set his face towards righteousness, and was seeking the Kingdom of God. Andrew, therefore, is seen at the beginning as a man, repenting, questing after the Kingdom, and expecting the coming of the Deliverer. Our Lord's dealing with him began with His question, "What seek ye?" We pause to remind ourselves that that is the utmost question in any and every human life. Our Lord did not ask Andrew who he was looking for. There was no need to do that. It was quite evident that he was seeking Jesus. What He did ask him was why he was doing that very thing. Why are you coming after Me? What is it that you really want? This question to Andrew becomes the more arresting when we remember that the words are the first recorded words of Jesus as He commenced His public ministry. The question was one that plumbed the very depths of personality. Jesus was drawing him out by driving him in. It is at least probable that Andrew had seen Jesus when six weeks earlier He had been baptized. But yesterday he had heard John identify Him as the Lamb of God Who taketh away the sin of the world. He had come as far as that, and now Jesus said, why are you coming? What do you want? What is the inspiration driving you along this pathway after Me? John had declared that He would come with His fan in His hand. At this moment He was using that fan in the soul of a man, driving away as chaff all secondary things, and taking Him down to the central matter of life. I cannot help believing that Andrew caught the suggestiveness of the question. It was the greatness of it that made him say, "Where abidest Thou?" In other words, Give me time; let me come closer before I talk. The tremendous significance of the question cannot be over-emphasized. If at this moment we paused, and allowed our Lord to speak to us, there is a sense in which He would still say, "What seek ye?" When thus challenged, we pass to the master conception of life, and discover the inspiration of everything, we shall know the answer. Andrew had come a long way. He had heard John. He had obeyed. He was engaged in first after the Kingdom of God. He had confessed the fact of sin. He was longing for complete deliverance from all its effects. He had heard John say that this was "the Lamb of God which taketh away the sin of the world," and now he was asked why he was following. When he then asked as to the abiding place of Christ, he heard the Master say, "Come. and ye shall see." This meant far more than that Andrew should see where He was abiding. It meant that there should come to him an answer to his quest, a seeing that would indicate the way by which it would be possible for him to find that which he sought. The quiet day ran its course. How long they were together must depend on the view we hold as to the method of John in referring to time. There are those who believe he used the Hebrew method. Personally I am quite convinced that it was the Roman method he used. If it were the Hebrew method, then this meeting happened in the afternoon, and they were together until sunset. If on the other hand it were the Roman method, their meeting occurred about ten o'clock in the morning, and all the hours following to sunset were given up to these men. They found their way to the place where Christ was abiding, and we have no record whatever of the interview. We do know, however, what happened immediately that interview was over for we see this man Andrew hurrying away to find his brother, and to announce the fact that they had found the Messiah. We repeat that we have no particulars of the interview, but as we have reverently imagined things concerning Andrew, we may with equal reverence suggest that in His dealing with this man, He emphasized the necessity which later on to Andrew and others who listened, He put into clear and concrete form of command: "Seek ye first the Kingdom of God, and His righteousness, and all these things shall be added unto you." "What seek ye?" He had said to Andrew upon the highway, and later He had said, "Seek ye first the Kingdom of God." In each case we have the same word "seek," a word that suggests a quest for something hidden or lost. He used it again in that self-same Manifesto when He said, "Seek, and ye shall find." He used the same word, moreover, once of His own ministry when He declared: "The Son of man is come to seek and to save that which is lost." The issue was that this man who had enrolled himself as a disciple, and spent the day with Jesus, came to the great conviction to which we have already more than once referred. We see him finding his brother, and using to him the simple and yet sublime formula that revealed his position, as he said: "We have found the Messiah." The Messiah was to Andrew, the hope of his people, the hope that had become a hope deferred, and had indeed made the heart sick, the hope that had been rekindled as the result of the ministry of John the forerunner; and now Andrew declared, We have found Him. It is most important in this connection to be reminded that in all the prophetic foretelling, as in all the ritualistic foretelling, the coming Messiah was shown forth as the One Who would merge in His Person the offices of priesthood and kingship. His authority of kingship would be vested in His redeeming and Mediatorial work as Priest. We have found Him, said Andrew. In all probability at the moment Andrew by no means understood all involved in the announcement. It was three years later that his brother made the great inclusive confession. Nevertheless there had come to him the conviction of the fact even though he did not understand all its implications. He had found the Messiah, his King. He had found the One Who could answer the quest of his soul after the remission of sins. Immediately this man became a missionary. Conviction in his own soul followed by submission to that of which he was convinced, issued in an active, spontaneous, inevitable propaganda. That is always so. It is impossible to find Christ in such relationship as Andrew did, without realizing the birth in the soul of a missionary passion. No man can become a living follower of the Lord without immediately finding His compassion moving him, and driving him out after someone else. "He findeth first his own brother." Then the great account runs on. He was called first to apostleship, and later sent out as an apostle. Then we gain some suggestive glimpses of him. We first see him with venturesome faith when the multitudes were waiting to be fed. Philip the mathematician and careful man, was counting the cost. It was then that Andrew went a little further than Philip with his calculation, and spoke of the young boy who was present with two loaves and some little fishes. But he qualified his venture as he revealed the fact that he had not very much hope, for said he, "What are, they among so many?" To him, then, was given the discovery that what seems worthless as our possession is abundance in the handling of the Lord. When at the end the Greeks came and told Philip that they would see Jesus, he, after consultation with Andrew, decided to take them into the presence of the Lord. Once more we have no details of the conversation between Philip and Andrew, and yet one can imagine that there flashed back upon the memory of this man the words that Jesus had spoken long ago to him and another, "Come, and ye shall see." He made up his mind if these men wanted to see Jesus; he had better get them face to face with Him. The last glimpse, historically, that we have of Andrew is of him in the first chapter of the Acts. There he is not preaching, neither is he seen going out seeking some new follower of his Lord. His great occupation on that day was that of listening to the brother he had found preaching, and watching three thousand swept over the border line into the Kingdom of God. And to refer once again to something spoken of earlier, the last place in which the name of Andrew is revealed is on one of the foundation stones of the city of God. It is all poetic and suggestive, and in spite of the apparent pathos of the thing, I am constrained to say that as you look at that city, you will find that Simon had no greater or more conspicuous stone than had Andrew. The tremendous significance of that simple and perhaps half-foolish remark is that the building of the city of God will not be accomplished because of the notoriety of its builders, but because of their fidelity. We close our article by reminding ourselves that Christ's first disciple was not Peter, but Andrew, and the first need of the Lord is still the strong, quiet soul who is content to remain largely out of sight. By saying this I am not undervaluing Peter. I am not undervaluing any man who in the Divine will is put in the forefront; but I am attempting to emphasize the fact that if the Kingdom of God had only the men whom we sometimes designate leaders and should not (Matt. 23:10) (better called servants), the work would suffer. It is by the host of those who, like Andrew, are strong, cautious, and faithful, that that work will be accomplished. I repeat that all this is not to undervalue Peter, but it is rightly to estimate Andrew. The message of the study is pre-eminently for the man who has come far towards the Kingdom of God, who has not yet had personal, first-hand contact with Christ. There are multitudes of such men who see the glory of God, men who know their own sin, men who have gone so far as to seek release from that sin by an activity of repentance, but they have not found the Messiah. What does the account say to such? Follow the lines along which you have been travelling, and they will inevitably lead you soon face to face with Christ. Having found Him, submit, enroll yourself as His disciple, and obey Him. You certainly may not at the moment be sure of all the doctrines of the Christian Church. That need not affect your discipleship. Go after Him, and when He turns, and demands from you what you are seeking, take time to tell Him. As assuredly as you do so, you will find the Messiah, your Savior and your King. Our articles are concerned with the first man with whom our Lord came into contact in His public ministry, so far as the records reveal. Indeed, we have no account of any words passing the lips of Jesus apart from those uttered to His mother at twelve years of age, until we find Him face to face with His great forerunner. In this case, as in all that follow, we shall attempt first to see the man, and then to watch our Lord's dealing with him. It should immediately be said that there is something unique in this account, because John had a special and great function in the Divine economy. According to the records, he was a supernatural child, and he was born for this definite purpose, which he most gloriously fulfilled. In considering the account of John there are three things that stand out pre-eminently. They are those of his essential greatness, his evident discontent, and his one great expectation. "Verily I say unto you, among them that are born of women there hath not arisen a greater than John the Baptist; yet he that is but little in the Kingdom of heaven is greater than he." In passing, it is interesting to notice that Luke in recording those words of Jesus uses the phrase "the Kingdom of God," where Matthew says "the Kingdom of heaven." The terms are really synonymous in their deepest meaning. "When the fullness of the time came, God sent forth His Son, born of a woman." The Old Version read, "made of a woman," and our revisers in changing it, have not improved, but indeed, have hidden the suggestiveness of the Greek phrase. It is not the same word that our Lord used of John. That phrase literally meant, "Born of a woman." That which Paul used of our Lord meant something preceding birth, namely generation. "I say unto you, among them that are born of women there hath not been raised up a greater than John." "He that is but little in the Kingdom of heaven is greater than he." In these words there was an implicit recognition of the greatness and finality of the mission of the Messiah, of which John was the herald. The reference is, in the last analysis, to the sovereignty of God, rather than to any particular territory. John announced that Kingdom was at hand. It was a reference to the new order to be ushered in by the work of our Lord Himself, that order that, according to John, was not available to men through the baptism of water, but through the baptism of the Spirit. The words of Jesus by no means excluded John from that Kingdom. As a man supernaturally born, and equipped for a mission, he was great; but the Kingdom that he announced included all such, himself also, who went beyond the prophetic hope to the practical realization. "He shall be great in the sight of the Lord . . . and he shall be filled with the Holy Spirit, even from his mother's womb." This necessarily bears further testimony to his greatness. This is revealed, moreover, in the office which he held. One of the ultimate glories of the Hebrew nation had been that of the prophetic gift. The true meaning of that gift may be gathered from the varied appellations by which those having it were designated. Sometimes the prophet was called a seer, quite simply, a man who sees. Sometimes he was called a man of God that is revealing, of course, the sign of his authority. Once incidentally by quotation, he was referred to as a man of the Spirit. The prophetic order commenced with Samuel, and comprised within its sweep such men as Elijah and Elisha; and later on, of course, Isaiah, Jeremiah, and the rest, with whose names we are familiar. Splendid as that succession was, none among all the prophets was greater than the last of the long line. Presently our Lord indicated that, when He said to the multitudes that they had seen in John "more than a prophet." Thus we are certainly looking at a remarkable man in human history, and the last fact which reveals his greatness was that of the coming to him of the Word of God. We remember how carefully Luke marks the date of that coming, by using a Roman emperor, a Roman governor, three tetrarchs, two high priests, to indicate the hour. "In the deserts till the day of his shewing unto Israel." There are different interpretations of the exact meaning of that statement. Personally I believe that it referred to a period of about ten years. We remember that John was a priest in priestly succession, and that his mother was also of the priestly line. In the ordinary run of events, he would have taken up the course of preparation for the priesthood at twenty years of age. Quite evidently, under a Divine call and announcement, and probably as the result of his earlier training, because his father and mother knew the purpose for which he was born, he turned aside from the priestly, and prepared for the prophetic office. When the moment came for him to emerge from his seclusion, and begin his public ministry, he spoke as one who, as we have said, was burdened with a sense of the sin and failure of his age. "Begin not to say within yourselves, we have Abraham to our father." He saw formalism covering corruption, trusting to fleshly relationship, and so making of no effect all spiritual values and moral results. "Extort no more than that which is appointed you." He clearly saw dishonesty practicing under the cloak of officialism. "Do violence to no man, neither exact anything wrongfully, and be content with your wages." "In the midst of you standeth One Whom ye know not." This was the One Whom he declared should baptize men with the Holy Spirit and fire. Here, then, we see John, a man than whom none born of women was greater, greater in intellectual power, and greater in the high office that he was called to fulfill. As he himself declared, he was not the Messiah, not Elijah, not even the prophet that Moses promised should come. His own account of himself was that he was the voice crying in the wilderness, whose advent had been foretold by Isaiah the prophet; the voice preceding the Word, and declaring the near advent of the One for Whom that people had looked and longed and watched for long centuries. "In the midst of you standeth One Whom ye know not;"
"Behold the Lamb of God, which taketh away the sin of the world." On the day following he had indicated Jesus Himself to two disciples as He passed by. Later in his ministry John sent to Jesus a deputation expressing, for the moment, his sense of bewilderment. I repeat, however, we have no record of a direct conversation between them. "Suffer it now, for thus it becometh us to fulfill all righteousness." It was a declaration that the only way in which sin could be dealt with, and righteousness established was by the identification of the Sinless with the sinning. He was indeed numbered with the transgressors in His baptism prophetically of His numbering with them ultimately, for dealing with sin, and bringing in righteousness. Thus He dealt with John. The question naturally asks: Did John understand Him? The answer is that there is no doubt that he did. Whether that understanding was immediate, it is impossible to say. Be that as it may, John consented and baptized Him, and Jesus passed on His way. After six full weeks, He returned, and in the method of John's identification of Him we have a remarkable revelation of understanding. "Behold, the Lamb of God, which taketh away the sin of the world." "My father . . . behold, the fire and the wood, but where is the lamb for a burnt offering?" The first time we find the word in the New Testament is here in the announcement of John, "Behold, the Lamb of God, which taketh away the sin of the world." The voice of the Old spoke "Where is the lamb?" The voice of the New declared, "Behold, the Lamb of God." "I have seen, and have borne witness that this is the Son of God." The Lamb of God is the Son of God. We have the record, then, of one brief sentence falling from the lips of Jesus directly spoken to John, and for John the whole outlook was changed. Nothing had been said which contradicted the great preaching of John, but the word illuminated the whole situation. Reverently it is as though Jesus had said, Yes, John, herald of Mine, voice sounding in the wilderness, sin must be dealt with, and there is only one way in which that can be done. Denunciation may be perfectly proper and necessary, but it cannot deal with the malady. "This my joy, therefore, is fulfilled . . . He must increase, but I must decrease." "Art Thou He that cometh, or look we for another?" With regard to this, it has been suggested that he was crystallizing suggestions raised by his own disciples. That may have been so. It has also been suggested that it was a question arising out of a moment of depression, a doubting like that of Elijah beneath the juniper tree. F. B. Morton in his book, "The Steps of the Master," describes the situation of the castle in which Herod had imprisoned John, and the description makes us feel that it would have been no wonder if he had been depressed. I believe, however, that his question was not due to any flagging interest. It was born rather of perplexity created by the methods of Jesus. As reports of His work reached John in prison, it did not seem that He was doing the things that John expected would be done. His question was the question of intellectual perplexity. If we are inclined to wonder at John's question being raised at all, it is best to read again the account of the answer of Jesus as recorded in Luke. The first movement in that answer was that when the deputation arrived, our Lord was healing the sick, preaching the Gospel to the poor, raising the dead; and He left the deputation waiting while He continued that work, the very work which was puzzling John. Then, addressing the deputation, He told them to go back, and report to John exactly what He was doing. He was healing the sick, He was raising the dead; but the most important thing was that He was preaching the good tidings of the Kingdom of God, and thus leading men to the true franchise of their lives, by bringing them into relationship with that Kingdom. "And blessed is he, whosoever shall find none occasion of stumbling in Me." In effect this meant that He declared to John, if he could not understand, he was called upon to trust. Moreover, it was in this very connection that Jesus had given His estimate of John, to which we referred at the beginning, and had declared his greatness, both as to natural equipment and as to the prophetic office. Thus in that critical hour of the baptism He had spoken to John in such way as to illuminate all his ministry; and at the last He is found defending him against a possible misunderstanding, resulting from his own trembling in faith. The description of our Lord as the Great Physician is warranted by the fact that He Himself employed that designation illustratively in reference to the whole fact of His mission. Twice over He used it, once when He was referring to a possible criticism of Himself in His native town: "Doubtless ye will say unto Me this parable, Physician, heal Thyself." The record of Mark is a little briefer, but essentially the same thing (Mark 2:17). 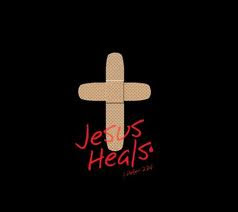 "And when Jesus heard it, He saith unto them, they that are whole have no need of a physician, but they that are sick; I came not to call the righteous, but sinners." 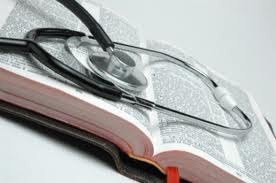 Luke's report runs thus (Luke 5:31, 32): "And Jesus answering said unto them, They that are whole have no need of a physician; but they that are sick. I am not come to call the righteous, but sinners to repentance." It is perfectly self-evident that these words of our Lord uttered upon this particular occasion made a profound impression. Matthew doubtless heard Him, for it was in his house that they were uttered. Mark quite possibly was present at the time, though it is not said so. Luke, who gathered his information from eye-witnesses, has carefully recorded the utterance, thus further emphasizing the fact that it had made a deep impression upon the minds of those who did hear it. The occasion was the feast made in the house of Matthew, and the reason why these words were uttered was that of the criticism of Jesus by the religious rulers, because He was surrounded by sinning people. The meaning of His great declaration is clear. He was conscious of the sickness of humanity, of the fact that men were suffering from moral malady. The implication of the declaration is equally obvious that He was a Physician, confronting that malady, and able to deal with it. We observe with what carefulness the three recorders have reported His words: "I came not to call the righteous, but sinners." Luke adds the words "To repentance." In the light of the account itself, these words cannot be read without a consciousness of an element of sarcasm for these men who were critical of Him. They did not understand their own Scriptures which revealed the fact that God desired mercy and not sacrifice. It was as though He had said to them, If you are righteous, then I have nothing to say to you. I came not to call the righteous. My mission has not to do with those who are whole and healthy in the spiritual and moral realms. Such have no need of healing. I came to call sinners. I am the Physician. 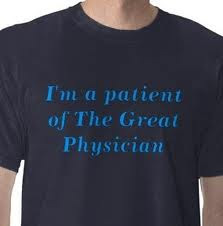 The business of the physician is never with those who are in health. It is always with the sick. Here then our Lord was implicitly claiming that He confronts humanity in its deepest malady, and that He does so as the great Physician. It is with that particular phase of His mission that we are proposing to deal in our present series of articles. We shall not be concerned in this attempt with His set discourses and discussions as they are recorded for us in the Gospel narratives. We shall rather attempt to watch Him at His work with individuals. How He dealt with people. The purpose for such a series of articles is twofold. It is first that of attempting to help those who in any sense have committed to them the cure of souls, and this, of course, means preachers and teachers, and all who at any point are coming into contact with human lives with desire to lead them to the place of healing and full realization. That of course is the business of the whole Christian Church (Matt. 28:18-20). The importance therefore of watching our Lord Himself doing this very work cannot be overestimated. At the same time, such a continued study will constantly have in it the possibility of helping those also who are in need of such healing. Infinite, in the variety in many ways of expression, is this common malady of sin, and nothing is more marked, as we shall see again more fully, than the infinite variety of the methods employed by our Lord in dealing with it. In this opening article therefore we confine ourselves to general statements on the whole subject. Our knowledge of the New Testament reminds us at once of the very many different persons that are seen as we follow our Lord along the pathway of His earthly mission (50 under consideration). By way of introduction to the more detailed study, therefore, we now notice first, the basis of His approach to the human soul; second, the universal recognition in His method; and finally, that to which I have referred, and which is the whole\ theme, His varied methods. As to His universal recognition we may say that He always approached the human soul in the same way. As to varied methods, we may say that He never approached two human souls in the same way. Such a paradoxical statement is of value, because it at once compels a little close attention. Nevertheless its meaning is surely self-evident. When our Lord approached a human being, there were great facts common to humanity, for always present to His mind; whereas it is equally true that the infinite variety of human needs was so recognized that He never employed the same exact method twice over. With regard to the first of these matters, the passage at the close of the second chapter in the Gospel of John is illuminative. "When He was in Jerusalem at the Passover, during the feast, many believed on His name, beholding the signs which He did. But Jesus did not trust Himself unto them, for that He knew all men, and because He needed not that anyone should bear witness concerning man; for He Himself knew what was in man." Notice the declaration is that He knew all men, that is, individually; second, that He knew what was in man, that is, He knew human nature. This declaration by John must of necessity be linked with his thought concerning the Lord Himself, and that thought is revealed at the opening of his account. "In the beginning was the Word, and the Word was with God, and the Word was God . . . and the Word became flesh." His knowledge must always be thus interpreted. It was not merely that resulting from observation of men by another Man. It was the knowledge of One Who, in His humanity, bore the name Jesus, and Who in His essential Being, was the Word. Thus we have the twofold fact, that He knew all men individually and universally; Simon as the son of Jonah; Nathanael as the watcher under the fig-tree; the woman by the well as having had five husbands, and so on, and ever on. But He not only knew individuals individually, He knew humanity generically. He knew what was in man. On this twofold basis of knowledge He constantly proceeded, and this, let it be said resolutely, accounts for His unique ability in dealing with humanity. He knew perfectly what men are today seeking to understand. All the quest of the psychologist is a search for the ultimate truth concerning human personality or individuality. These things the great Physician knew perfectly. Reverently we may say in this connection, like God, He always remembered that man is dust; and equally like God, He knew that man was infinitely more than dust. That was the basis of His approach, and of course, finally interprets His healing power, His ability to deal with all sorts and conditions of men. We are dealing in these studies with the records only. It is best, however, to remind ourselves at once that whereas they indicate the eternal principles, they do not exhaust the theme, for through all the running centuries that have come and gone, this Christ has been doing the same things, confronting human souls, knowing every one, knowing what was in man; and dealing with man according to the facts of his inherent nature, and of all the facts resulting from heredity and environment. Let it also be said that when today men attempt to study the account of our Lord as of one among a number of teachers, they show they have never really seen Him. It is perfectly true that we may watch Him garbed with the simplicity of a peasant, growing weary in common with human nature, and yet he is seen forevermore coming into contact with other men and women and children, known completely not only the incidental facts concerning each, but the very nature and being of each. He was and is the Great Physician, and the basis of His approach to human nature is that of His perfect knowledge. Then as we observe Him at His work we discover what we have referred to as His universal recognitions. He dealt with men and women of differing temperaments and different situations, and in a profound way He recognized certain universal facts. In that way He treated them all as being alike. We may at once cover the whole ground here by declaring that He treated all as spiritual in essence, sinning in experience, salvable by grace. When we say that He dealt with man as spiritual in essence, we are not for a moment suggesting that He neglected either the mental or the physical. It is impossible to watch Him without realizing that His words were forever characterized by intellectual depth and majesty, of such a nature that human intellect fails, even until now to completely apprehend. It was always His method to compel men to the use of their mental powers. He was constantly asking questions, as though He would say, what is your opinion? What do you think? What is your mental activity in the presence of this matter? He certainly was not unmindful of the physical. He cared for it. This was always demonstrated by the wonders of His healing of bodily powers, and upon occasion in His feeding of physical hunger. Nevertheless neither the mental nor the physical constituted His chief concern. He was always dealing with the spiritual essence, which being at fault, everything else was at fault. The keynote of His preaching was found in the words: "From that time began Jesus to preach, and to say, Repent." On the level of much of our ordinary thinking, we should say that if the body is killed, there is no more to be said or done. The words of Jesus constitute a tender but definite mockery of that very stupid idea. If a man kills my body, he has paralyzed his own arm, and can no further harm me, but I am still there. My body lies dead, but I am not dead. From that standpoint He forever approached man, coming with a clear recognition that their chief glory, the central fact concerning them was not the body which dies, nor the mind that blunders, but the spiritual which is central. Then it is equally self-evident that He dealt with man not only as spiritual in essence, but as sinning in experience. He saw humanity missing the mark, failing at the center, and consequently suffering in all the circumference. So He saw them, failing to be what God meant them to be, failing to be what was possible within the mystery of their own personality. In the words in which He spoke of Himself as the great Physician, He made it perfectly clear that His mission was concerning such, and in dealing with man He treated him as sinning in experience. The final word is that He treated humanity as salvable. That is a great old theological term, and is incapable of being improved. In spite of all the dereliction, He saw man as salvable, capable of the highest in spite of having passed to the lowest. It is impossible to follow our Lord upon the pathway of His service, and watch Him thus dealing with individuals, and then to speak of hopeless cases. All those who are engaged upon this selfsame sacred service are very conscious that there are occasions when we are inclined to feel that the case is indeed hopeless. Resolutely we declare He never did this. When no one else believed in the possibility of the recovery of a human soul, He did. We say, and we say correctly, that according to these records, men and women were saved or made whole through their faith in Him. It is perfectly correct to look more deeply, and if we do we find that their faith in Him was created by His faith in them. Thus He approached humanity, recognizing it as spiritual in essence, sinning in experience, salvable by grace. And so we pass to the other matter where the interest, of course, is enormous, and which is to occupy the whole of our subsequent articles. Here we summarize briefly by saying that we never find our Lord dealing with two different persons in exactly the same way. To take one or two brief illustrations, to which, of course, we shall return for more careful consideration later. To Andrew and John He said, "What seek ye?" To Simon He said, "You shall be rock." To Philip He said, "Follow Me." To Nathaniel He said, "Before Philip found you, I saw you." To Nicodemus He said, you must be "born from above." With that last illustration we pause a moment to remark that it is at least arresting that He is never recorded as having said that to anyone else. It is true that He so said it as to show that it applies to every human being; but it is equally arresting that He is not reported as having said it to anyone else personally. He was employing the method necessary in the case of the man, and this He forever did. At the commencement of this article we declared that one purpose of this series would be that of helping those who have the cure of souls. We then showed that He proceeded upon the basis of His perfect knowledge. Here then for a moment we are halted, because we cannot, of ourselves, have any such perfect knowledge. It is, therefore, of the utmost importance that we should remember that all who are called to that work are called a fellowship with Him in and through the Holy Spirit. It is only by such living, maintained fellowship, that we can only do this work. That is a subject which surely needs no argument. It may be stated, however, with reverence and reticence, that the measure in which those called to this sacred business are living in true fellowship with Him, will be found to be the measure of their understanding of men and women, and their ability to deal with them, in order to their saving. In “the cool of the day” – (Gen. 3:8) every day meet with Him, talk to Him, ask Him questions concerning His perfect will for you for He said He would be with you to the end of the age (Matt. 28:19-20). And read His instruction manual that His Spirit makes use of and brings meaning to. This series of articles (50 in length) will deal with how Christ dealt with sick and sinning people while He served His Father here on earth (sent from heaven). His ways and methods should enlighten us on those who He brings into our presence. Our period here is short in length in comparison to our eternity which He is preparing us for. We end up as the last series of articles attempted to direct us in a threefold manner (The Perfect Will of God). He takes us to a state of perfection, pleasure and finally permanence. A threefold ministry accomplishes that task. Justification, Sanctification and finally Glorification; all pictured in a threefold communion service through symbols. The bread and cup (past ministry - justification), the foot washing (sanctification - present ministry taking us to perfection), and the Lord's supper (future -glorification) where we are served at a great marriage supper. Few there are that have caught that teaching here on earth (John 13) because they are led down another road that only teaches the symbol of His death - the bread and the cup accomplished on Calvary. My Lord and Master came out of the grave (no longer dead as the majority treat Him - He is the living Lord) and is engaged in a sanctification ministry with me at this point and awaits to come seize me from this earth at the command of His Father (Matt. 24:36) to the Bema Judgment as well as a marriage feast. The threefold communion service that I participate in celebrates and teaches all three parts of His ministry with me preparing to take me to glory to serve and be with Him forever. See Jewish Wedding article. Through the Son, Who reigns with Thee In that Spirit's unity. Whither Christ is gone before; Through the Son, Who reigns with Thee In that Spirit's unity." All life's urgency is concentrated on the present moment. Today is all that we possess. Yester­day has passed from us. Tomorrow is not ours. God's time for His people is indicated by the two words "now" and "today." Our articles, therefore, of the subject of the Will of God is of practical and immediate importance in its bearing on the interests of the present. If we remember "all the way which the Lord our God hath led us," it is only in order that, taking warning from our failures, and deriving encouragement from the unfailing faith­fulness of God, we may "forget the things that are behind" (Phil. 3:13) in our devotion to present duty. If we contemplate the coming glory, it is only that its light may be a source of inspiration to us as we "run with patience the race that is set before us." The Will of God is the most important subject in every life. The Old and New Testaments alike testify to its importance. Within that Will man finds perfection, pleasure, permanence. It is practicable because of its nature, its revelation, and the fact of its being accompanied with the gift of life, which makes it possible to obey. It is glorious, indeed, for heaven itself lies within the compass of its thought. There remains one subject of immediate practical moment. How may we know the Will of God for today, in all the details of the hours as they come and go; and how may we discover it in any crises that may arise? From the immediate illumination of the indwelling Spirit. From the combination of circumstances. Let us examine these separately, and then in their inter-relation. (1) The Word of God—For the most part, the Bible does not lay down rules of human conduct; it enunciates principles. There are exceptions to be found, arising out of some local circumstances that demanded clear and explicit statement of duty. But as the Bible is a Book for all time, and habits and manners change, the framing of rules, which must necessarily change with change of local conditions, would have defeated the high end in view. The enunciation of principles, on the other hand, which never change with changing circumstances, calls forth on the part of man, in every successive generation, his reasoning and reflective powers, and answers the purpose of righteousness. In coming to the Word of God, therefore, for understanding of the Will of God, we are not to search for texts to defend private judgments. Nor are we, on the other hand, to play tricks with the Bible, in order to discover accidental messages to help us in forming judgments. We are regularly, and devotionally, and intelligently, to study, in order that we may discover the revelation of prin­ciples. Where this is done as a habit of the life, the mind will act under the power of these principles, and the conclusions arrived at will be in harmony with the intention of God. (2) The Illumination of the Spirit. —The doctrine of the inner light is not sufficiently taught. To the individual believer, who is, by the very fact of relationship to Christ, indwelt by the Holy Spirit of God, there is granted the direct impression of the Spirit of God on the spirit of man, imparting the knowledge of His Will in matters of the smallest and greatest importance. This has to be sought and waited for. It is at this point that it may be best for the seeker to take counsel with some fellow-Christian, who in prayer and conversation may be enabled to throw light upon the problem. It should, however, be remembered that others can only give testimony as to their view of the problem suggested. Such testimony is of great value. It cannot, however, be final, and should only be given as contributing thought, which may aid in solution. No Spirit-taught man or woman will pretend to be able to decide for a second person. Each must at last, having received help, it may be, from conference with other Christians, pass into some place of utter loneliness, where only the voice of the Spirit is heard. To such waiting, a clear and definite answer must come. (3) The Combination of Circumstances.—In the fact of the Divine government, this may be spoken of as the opening and shutting of doors. There is no room for doubt that God does, in infinite wisdom and power, manipulate the facts and details of all human lives, in such a way as to make "all things work together for good to them that love God." (Rom. 8:28) The open door does not necessarily mean the easy pathway. This is a common mistake. One has often heard persons say the way is made plain, and by "plain" they mean easy. And yet, those who know most of the immediate government of God will confess that the most plain pathway has often been the most difficult. The open door is an opportunity created, which is in harmony with the principles of the Divine government as declared in Scripture, and the desire for which has been created in that fellowship with God, into which no other interest has been allowed to enter. This is a most solemn considera­tion, and needs the severest caution. There is no realm of human life into which the enemy more successfully passes, and in which he works more destruction, than that of motive. Desires based upon motives other than the highest will often discover open doors which are quite other than those which God would open. The value of the three indications dealt with, lies in the fact that not in any one of them is to be discovered the warrant for action, but in their com­bination. (1) With regard to the Word of God, many principles of action therein recognized are not meant for all men at all times. There must also be the inner light and the open door. (2) With regard to the leading of the Spirit, it cannot be too constantly reaffirmed that such leading is never contradictory to the truth of Scripture. There is so much idle talk today about the leading of the Lord that at this point one would desire to speak most strongly and solemnly. Some awful instances of gross immorality have resulted from people following what they imagined to be the guidance of the Holy Spirit, even though the action was in direct disobedience to the most emphatic statements and requirements of the law of God. This is blasphemy of the worst kind (lasciviousness-Jude 4). Whenever, therefore, it is supposed that the Spirit is leading, it is of the gravest importance that such leading should be tested by the principles of the Word. And again, the Spirit never leads without open­ing the doors sooner or later. There may have to be the waiting of long discipline—and abiding in the Will of God means rejoicing in all such discipline—and patient waiting for His opening of the door, even when the light is clearly shining as to the Spirit's ultimate intention. (3) The open door that necessitates departure from Scriptural teaching is the work of the devil; and no matter how remarkable the success that appears to follow efforts supposedly made in the interests of the kingdom of God, if the base of operation is not loyalty to the revealed Will of God in Holy Scripture, the fabric erected is but "hay, wood, stubble," to be destroyed in the cleansing fire at last. And yet again, the open door, in harmony with the principles of Scripture, is not to be entered, except as a personal call is heard, and one is able to say, I do this because I have the witness of God's Spirit with my spirit that He so wills it. Thus to summarize. We have always the three­fold test, which is invaluable as to everyday details, and in the crises of life; the truth of God, con­tained in the Word of God; the purpose of God indicated by the Spirit of God; the government of God exhibited in the opening of doors by God. One perpetual condition remains, that of obedi­ence. This word, it will be seen, is not here lightly used. It presupposes a desire to know and to do, expressing itself in devotion to seek and to obey. Such obedience will ever be based on the perfect confidence of the spirit of man in the grace of the Lord Jesus Christ, the love of God, and the communion of the Holy Spirit. Where this confidence exists, the obedience will be unquestioning, im­mediate, and complete. The tendency of the age is to softness. Some may read this final message, and turning from it say, this is not easy. Easy! When did Christ sug­gest ease to men in the method of their own making? Did He not solemnly warn those who would follow Him not to count the cost, and indicated that the pathway of His footprints necessitated the denial of self and the taking of the Cross? If the per­fection of character, and pleasure of life, and perman­ence of being for which we profess to be desirous, are ever to be realized, it will be by strenuous action; time, thought, energy, are all necessary. Let the end be as the beginning. There is but one thing that matters. 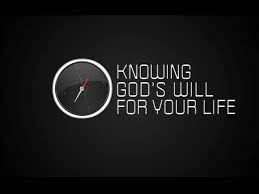 It is that God's Will should be done. To that end let everyone cast sloth away, and, "girding up the loins of the mind, be sober and set the hope perfectly on the grace that is to be brought unto you at the revelation of Jesus Christ." (1 Peter 1:13) The ultimate issue will be perfect compensation for all the toil of the pathway that leads to that end. GOD ARE YOU REFINING ME? IS IT EASY BEING GOD? WHAT VALUE DO YOU PLACE ON ME GOD? HOW DO I FIND GOD - IS HE HIDING? IF I DIE, DOES MY REDEEMER LIVE? HEAVENLY DEFENSE - DO I HAVE ONE? I NEED A DAYSMAN - WHERE IS HE?